The Special Presidential Investigation Panel for the Recovery of Public Property (SPIP) has initiated action towards the recovery of over $20 million owed the Nigerian Ports Authority (NPA). The said money is unremitted revenue of NPA domiciled in Heritage Bank PLC. A statement by the Head of Media and Communication, Lucie-Ann Member Laha, said: â€œAlso to be recovered are several hectares of land and houses belonging to the NPA in Lagos, Delta, Rivers and Cross River states, which have been illegally taken over or encroached upon by squatters and unscrupulous disengaged public officers. 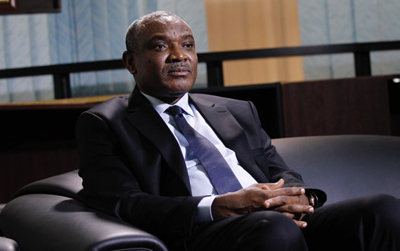 â€œThe Presidential Panel led by its chairman, Chief Okoi Obono-Obla, had previously recovered part of Agura Hotel, which had been fraudulently annexed by some persons and agencies for the NPA also. â€œIn a related development, the Presidential Panel recently arrested, released on bail, and is prosecuting a serving Senator and APC gubernatorial candidate for Imo State, Senator Hope Uzodinma, for failure to execute a contract for the dredging of the Calabar Channel by his company, Niger Global Services, years after collecting over 12 million dollars for the project, from the NPA.